SPRING HAS SPRUNG but you may want to hang onto those scarves and gloves as wintry weather continues into the weekend. Temperatures will fall to between zero and minus two degrees tonight as frost and ice develop nationwide. Showers will extend to all areas in the early afternoon before clearing in most places. Friday will be cold with some morning snow and sleet in parts of Leinster, according to Met Éireann. The afternoon will be sunny at times before sharp frost develops overnight with temperatures falling to around zero. Saturday will be cold, bright and dry in many areas, though some spells of sunshine are expected to break through. Most places will be dry but some rain or hail showers are likely in northern and northwestern counties and along parts of the west coast. The night will be frosty with some icy patches and overnight lows of zero to minus two degrees. Sunday will get off to a frosty start in eastern areas with rain developing in western counties in the morning and gradually spreading eastwards in the afternoon. Rain and snow will turn to showers overnight and frost is forecast for many places. Monday will be cold but bright with some scattered wintry showers and dry conditions at night. Email “Wrap up warm - it's going to be another freezing weekend”. 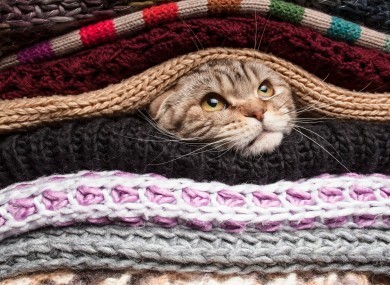 Feedback on “Wrap up warm - it's going to be another freezing weekend”.